In the article why emotional investing and trading must be avoided we discussed why emotional trading is bad for traders and must be avoided. This article helps to understand how to avoid emotional investing and trading in stock markets. 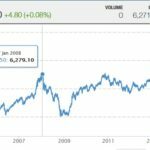 Advice in this article will help you to understand how to keep emotional trading and investing under check and control. Most stock traders get into stock investing and trading more for the “greed part” and “make money fast part”, and in haste forget their finances and investment capacity. A lot of them take a personal loan for no reason except to trade the stock markets. This is a huge mistake. 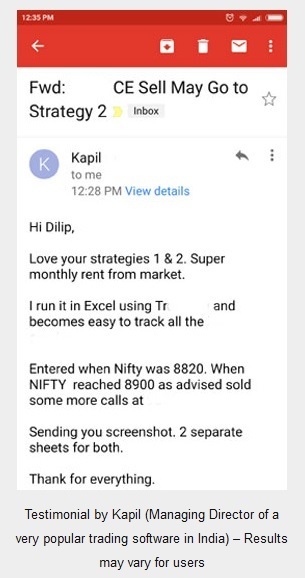 You can read how I manage my finances using the 25-25-25-25 Financial Portfolio Risk Management Rule, and do not let the rules of my financial management break at any cost even if I am absolutely sure a particular stock will make a return of 20% in one year. 25% of what I save are invested in fixed return instruments guaranteed by Government of India like Bank Fixed Deposits, PPF, NSC etc. 25% of what I save are invested in top rated diversified equity mutual funds via monthly SIPs (Systematic Investments Plan). 25% of what I save are invested in good large and mid-cap stocks for the long term – 10 years or more via the monthly SIPs (Systematic Investments Plan). 25% of what I save are invested in my derivatives trading account. 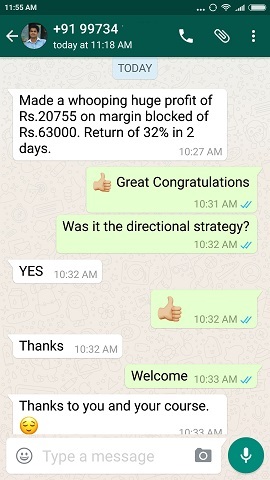 Sometimes the stock which I wanted to invest in but could not because I am not willing to break my financial portfolio risk management rules, makes more than what I expected, but I still do not regret my decision. The reason is pretty simple, one bad greedy investment may take my financial returns back by two years. This I want to avoid at any cost. By keeping my financial management rules in check I can sleep peacefully, knowing very well even if one part does not perform well, the other parts will do and my total finances will grow positively at the end of financial year. 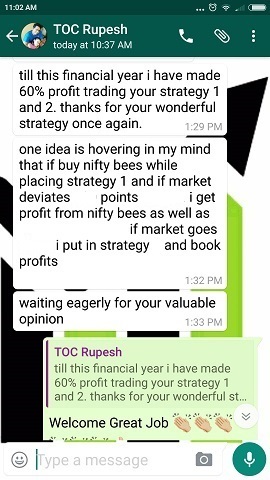 Assuming I let greed take over and break my fixed deposits and invest in a stock for one year and after one year I see that the stock is down by 20%, I will rue my decision. Instead if making 8% returns by fixed deposits in that money, I would have lost 20%. Taking the fixed deposit returns into account my total loss will be 28%. To avoid these kinds of mistakes I never break rules of my finance management. The story can be different too. Assuming I break my fixed deposit and invest in a stock. 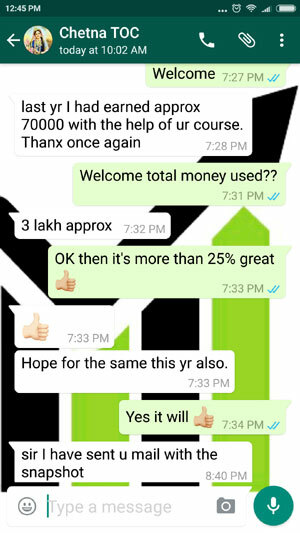 After one year the stock gives a return of 25%. I get greedy and break another rule of finance management. I break another part and invest all the money in another stock and boom after one year that stock is down by 30%. Overall after 2 years the investments that could have made around 10% are still down by 5%. Hope now it is clear why proper risk money management is very important before keeping money for trading or investing. NOTE: It is not mandatory to follow my risk management procedures because your income and needs my differ from mine. Therefore think hard and plan your risk management before you start investing. You can change your risk management plan anytime you want but it should be logical not emotional. If you need my help to make your financial risk management portfolio rules you can contact me.